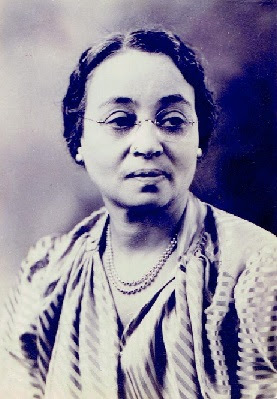 For 26 years, Leota Henson served as treasurer of the Phillis Wheatley Home Association, which sponsored a home for 16 elderly women (one of whom was Maggie Porter, one of the original Fisk Jubilee Singers). I was born in Ravenna, Ohio December 10, 1866. My father was a barber named Jacob Henson. My mother’s name was Adeline Loudin Henson. My father was a native of Baltimore, Maryland. My mother’s parents were among the early settlers who came to the Western Reserve in Northern Ohio in 1830. Jeremia and Sybil Loudin traveled by Ox Team from Burlington, Vermont, and it took them three months to make the trip; they finally settled in Charleston, Ohio. Five or six years later my grandmother made a trip back to Vermont to visit her parents, and she made a quick trip traveling by the Erie Canal; it took her six weeks to make it. 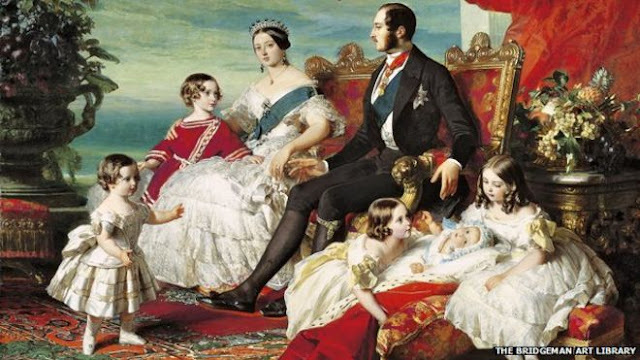 The Loudins had five children: Henry, Frederick, Jane, Levonia, and Adeline. After the death of my grandfather, my grandmother moved to Ravennna just five miles from Charleston. My mother’s brother, Frederick, developed a wonderful bass voice and was one of the original members of the noted Fisk Jubilee Singers. For five years he traveled abroad with the company. It was through his influence that I received my musical education. Knowing the advantages to be obtained abroad in a musical way, he persuaded my mother – who had become a widow – to allow him to send me to Leipzig, Germany to study music. I had passed all of my grades in the Ravenna schools, and had also been taking piano lessons from a German Professor. In my junior year in High School, I left my friends and relatives to go abroad to study music. Before leaving, my classmates gave me a party and presented me with a beautiful velvet bound autograph album with their names inscribed, and it is still one of my priceless possessions. 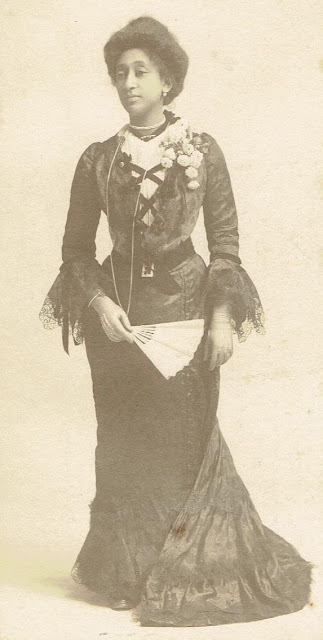 In February 1884 my auntie, Mrs. Harriet C. Loudin, and I sailed from New York for Hamburg, Germany. It took us ten days to make the trip, and as it was mid-winter and little travel, there were only five passengers traveling first class. After landing at Hamburg we went to Berlin to spend a few days with some friends of my auntie’s. Several days later I was located in Leipzig at the home of a lady named Fraulein Herrmann. My auntie stayed with me long enough to see that I was properly entered into the Conservatory of Music¹. She saw that I had a piano in my room on which to practice, and bought season tickets for Fraulein and me so that we could go to the Opera. She then left me to go to London, England to meet my Uncle who was arriving in England with his company of singers. When I arrived in Germany, my vocabulary in that language was limited to “yes” and “no.” In a few months, when Fraulein would speak to me in English, I would answer her in German. For two years I lived in a musical world which was a wonderful experience and I made many friends. In 1866 my Uncle sent for me to come to England to join his company. I became the pianist for the company and this began my second great experience. 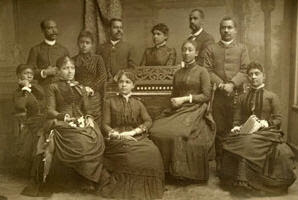 My Uncle’s company was known as Loudin’s Jubilee Singers. There were five ladies and four gentlemen which included my Uncle. I was the accompanist and my Auntie took care of the financial part of the concerts. We were a very happy group and made many friends. We had an advance agent who arranged for the concerts in almost every town of any size in England, Ireland, Scotland, and Wales. In this way we were able to visit many historic places such as Westminster Abby, the Tower of London, Newgate prison, Windsor Castle, and many other places in and near London. We visited Shakespeare’s home at Stratford on the Avon, York Cathedral, and Canterbury Cathedral. In Ireland we saw the lakes of Karlenny and kissed the Blarney Stone at Blarney Castle. In Scotland we visited St. Giles Cathedral, where John Knox had preached, while we were in Edinburg. We also visited Holyrood Castle where Mary Queen of Scots lived. We saw the bed in which she slept, and the blood stains on the floor of one of her sweethearts, and many other interesting sights." In the next article you will read of the group’s travels in Italy, Egypt (where they saw the Pyramids), Aden in Arabia, Melbourne and Tasmania in Australia, New Zealand, Calcutta and Bombay in India, Burma, Japan, and their return to the U.S. through Customs in San Francisco. And by the way, if you'd like to read the letters from my grandmother, Nina Hortense Clinton, click here. ¹ The "Hochschule für Musik und Theater" was founded in 1843 by Felix Mendelssohn as the Conservatory of Music, and is the oldest university school of music in Germany.